‘Gotham’ Review: Is FOX’s New Batman Drama the Origin Story We Deserve? 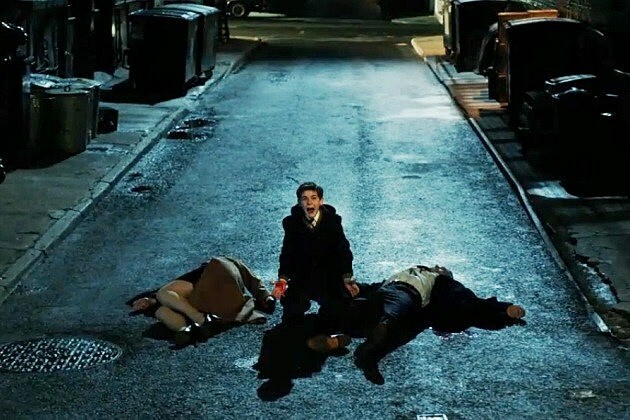 By now, you’ve likely been made aware of ‘Gotham’ and its inherent premise, that of an origin story of sorts for the city itself, as glimpsed through a young James Gordon and early incarnations of Batman’s most notorious villains. Batman himself might never appear until a far-flung future series finale, though we do have a young Bruce Wayne, freshly orphaned in the pilot’s opening minutes. And while ‘Gotham’ undoubtedly looks to capitalize on the potential of universe-building series like ‘Arrow’ or Marvel’s ‘Agents of S.H.I.E.L.D.’ (the series was even formally announced the night of ‘Agents’’s premiere), conceptually the series has more in common with ‘Smallville,’ an origin tale that wove intricate mythology around the early days of a superhero it couldn’t realistically portray on a TV budget. And before we even get to its plot and characterizations, we don’t mind telling you that that comparison proves ‘Gotham’s biggest issue off the bat (get it?!). ‘Smallville’ worked with a teen drama’s ability to showcase Tom Welling’s growth into the hero we knew he’d become, while a rich history of Gold and Silver Age comics supported the license taken with its villains and supporting characters. Even Ed Brubaker’s ‘Gotham Central’ comic, which seems to have served as the primary inspiration for ‘Gotham,’ succeeded by keeping Batman largely out of the story, if only to tap into the weirder world his presence creates. FOX’s ‘Gotham’ essentially marries the two ideas, but in the process loses either’s real hook. By its pilot at least, ‘Gotham’ displays all the A-to-B plotting of a police procedural, but seems entirely uncertain of how to incorporate its established mythology. The series doesn’t know what it wants to be just yet, and has only vague ideas of how its puzzle pieces fit together, if at all. Relying primarily on characterization isn’t a saving grace for the series, either, as the majority of its leads seem to share different wavelengths as to the series’ tone. Ben McKenzie’s Jim Gordon proves the steadiest overall, as McKenzie lends a certain wry determination to the young detective that neatly dovetails with the escalating madness of the city around him. On the flip side, Donal Logue’s Harvey Bullock feels appropriately at home in the role of a noir-esque, borderline alcoholic comfortably walking lines of the law, though the hard-worn partner clichés weaving their way through the detectives’ dynamic do few favors for a consistent tone overall. Somewhat mirroring their relationship is that of future Penguin, Oswald Cobblepot (Robin Taylor), and midlevel crime boss Fish Mooney (Jada Pinkett-Smith), and while both put in reasonably colorful performances amid the heightened emotions of ‘Gotham’’s world (Taylor’s being a particularly grimy highlight of the episode), both seem somewhat out of sync in their interpretations of camp. Cobblepot’s idiosyncrasies fit in well with the trajectories of a larger-than-life character like the Penguin, though Mooney’s naked ambitions and sinister demeanor quickly grate without any real sense of dimension to the character. The real question marks from the pilot arrive in supporting characters like David Mazouz’s Bruce Wayne or Camren Bicondova’s Selina Kyle, the latter of whom goes unnamed and accomplishes absolutely nothing within the pilot, slinking around to observe Bruce without ever saying a single word. Mazouz broods appropriately as any future Batman would, but in the process exposes one of ‘Gotham’’s principle flaws; the series has precisely no idea what to do with its secondary cast. Will Gordon drive to Bruce’s house once a week, finding the young orphan (under the care of an intriguingly surly Alfred) as he attempts some new adolescent means to prepare himself for superheroism? Will Selina Kyle observe from a distance? Will young Ivy Pepper become the estate’s junior caretaker, while Gordon’s wife Barbara offers vacant doubts over her husband’s career choices? Who will write abstract riddles about it all? "Quick! Get me a cowl, and about 25 years!" Look, it isn’t my intent to eviscerate the pilot without any indication of its strengths, as the series seems slick enough overall to wade a few episodes deeper into the proceedings. Most of the power dynamics between Gordon and Bullock or Fish and Cobblepot ring reasonably true, while a few supporting characters and surprises we won’t spoil offer a bit of insight into the morally complex world ‘Gotham’ seems to want to occupy. Not only that, but we’ve heard showrunner Bruno Heller on the record as to indicate that the pilot needed a bit of front-loading with its Batman mythology, while future episodes would more evenly balance characterization with the comic aspects. In the end, it isn’t that ‘Gotham’ feels too empty for lack of the Dark Knight, but rather that the series itself doesn’t know what it wants to be just yet, and has only vague ideas of how its puzzle pieces fit together, if at all. Character introductions and foreshadowings land like anvils, while the old-school police procedural nostalgia undercuts even the stronger dramatic beats of Jim Gordon's struggle to be the good cop in a bad world. ‘Gotham’ certainly carries the potential to live up to its DC TV predecessors, but by its pilot at least, has a ways to go before earning a cape and cowl. Credit should certainly be given to the aesthetic and aural aspects of the series, as ‘Gotham’ nicely makes use of strong sets and a CGI-enhanced New York to craft a unique take on the fictional city, with an appropriately moody and heroic score overall. In case you’re wondering, yes, the pilot presents a young Poison Ivy re-imagined as Ivy Pepper, daughter to thug father Mario. Yes, she tends to some plants. No, we have no idea how she’ll end up incorporated into the series, at least the way posters seem to show her off. I was on a New York set recently, and got to talking with one of the PA’s about his work on ‘Gotham.’ Like me, he couldn’t help feeling the notable oddity that so many of Batman’s villains would theoretically be far older than Bruce, especially if producers make good on their threat to incorporate a number of Joker teases throughout the season. Say what you will about ‘Smallville,’ but Joker without Batman seems far less feasible than a young Lex Luthor hanging out with Clark Kent. We’ll update this a bit more once the actual pilot airs, so as to discuss a few more specifics of the plot. Well, what do you think? Does FOX’s ‘Gotham’ sound like the Bat-origin we deserve, if not the one we need right now? What would you want to see from the first season? Tell us your thoughts on FOX’s ‘Gotham’ in the comments, and stay tuned for the September 22 premiere! Source: ‘Gotham’ Review: Is FOX’s New Batman Drama the Origin Story We Deserve?